LILIENTHAL|ZAMORA is a collaboration between Etta Lilienthal and Ben Zamora, both performance designers who together have worked on many striking stage sets (I especially love last year’s Underbelly) as well as the labyrinthic installation Through Hollow Lands at the Frye Art Museum in Seattle. 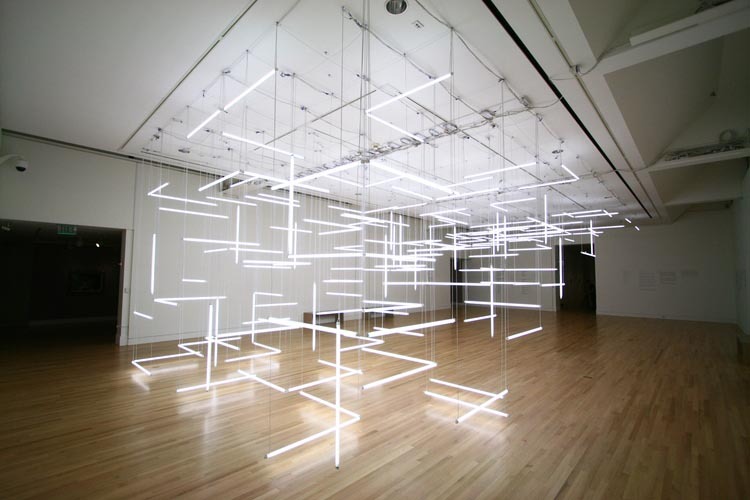 Made with 200 suspended fluorescent tubes, the bright and geometric piece has a great futuristic look to it. Beautiful. 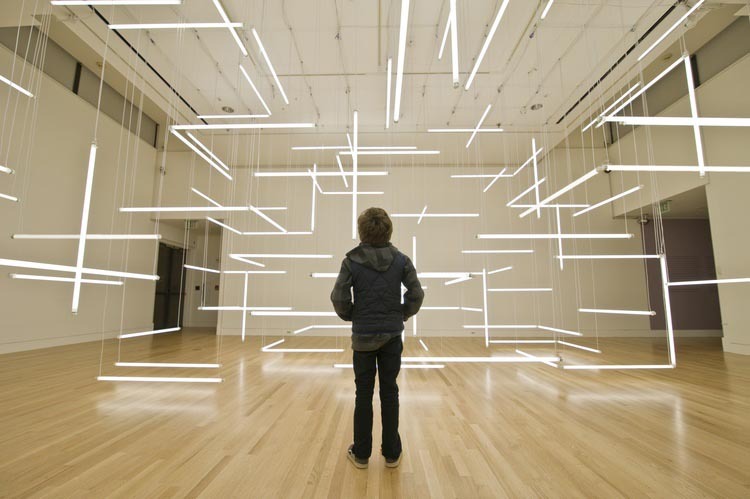 Looks like a really cool installation. I wish I could see it in person!